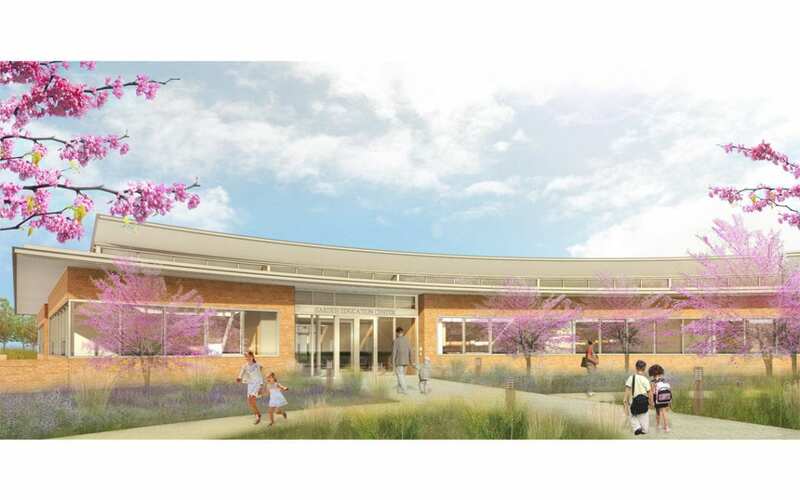 The Chicago Botanic Garden broke ground on its Booth Hansen designed Education Center on April 23, 2015. The groundbreaking encompasses the new seven-acre Regenstein Foundation Learning Campus, which includes the Education Center and Learning Campus Garden. Opening in summer of 2016, the Education Center — the heart of the Learning Campus — will be a hub for plant-based community and civic engagement, intergenerational learning, hands-on coursework, and health and wellness activities. In keeping with Booth Hansen’s and the Chicago Botanic Garden’s commitment to sustainability, the Education Center is expected to achieve LEED Platinum certification. A variety of green strategies were employed including recycled and low-emission materials, solar panels, and rainwater harvesting; energy and water use data will be tracked in real-time and displayed on an electronic dashboard which will serve as a teaching tool for the building’s visitors.